The plight of refugees entered the news again this year with the attempts by them to cross the Channel in small boats. This prompted the home secretary Sajid Javid to declare that a ‘major incident’ had occurred and he received considerable favourable coverage from the tabloid press. About 221 attempted the crossing between the beginning of November 2018 and the end of December. This compares with the hundreds of thousands who have entered Italy and Greece. To compare the 221 attempts to cross since the beginning of November with the hundreds of thousands who have entered other European states and calling it a ‘crisis’ is absurd. The Daily Express for example, under a headline ‘Migrant Crisis’ quotes a former home office chief as saying that ‘Britain faces a humanitarian crisis unless it sends back migrants’. The comments made by the Home Secretary today are deeply concerning. The outcome of an asylum application cannot be pre-judged before it has been made and must be processed on its individual merit, irrespective of how that person reached the country. Let us not forget that we are talking about people who are in desperate need of protection, having fled countries with prolific human rights abuses. What is more, we are hearing time and again that the conditions in France do not make people feel safe, with migrant camps being razed from the ground and people experiencing violence from the authorities. It’s a shame that the Home Secretary seems to need reminding that seeking asylum is a right and the UK has an obligation to assess claims fairly and grant protection to those who need it. Immigration, asylum seekers and refugees raise considerable passions in the country and it was a key issue behind the 2016 Referendum. It is likely that many people voted in favour of leaving the EU because they believed it would end immigration of all kinds into the country. The Salisbury group has mounted a photographic exhibition in the Salisbury Methodist Church during January featuring award winning pictures of refugees in various locations around the world. There are around 40 million internally displaced people and 25.4 million refugees according to UNHCR. The images show some of the desperate situation many of these men, women and children live in. We are grateful to the church for letting us use their space for these photographs. 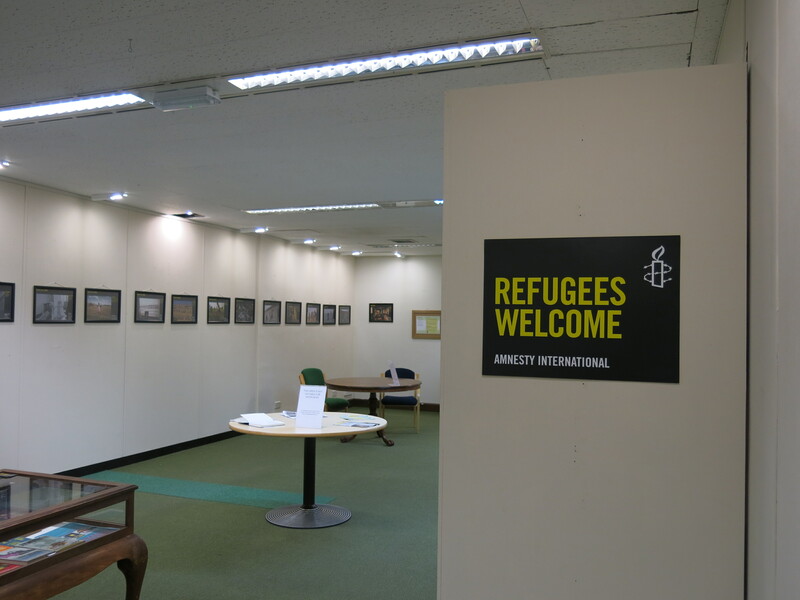 The ‘I Welcome’ exhibition which has been running through most of December in Salisbury Library, ended today. We have no means of knowing how many people attended but a number of people signed the visitors book and some of their comments are shared below. We do not know how lucky we are in the UK. We moan about the silliest of things. Just think! We could have been born on a rubbish tip, then we would know we had problems! Love not hate, be thankful for what we have. I am ashamed of us Europeans leaving people freezing on the streets who are refugees from wars we started or sold arms for. Hundreds of children sleep under hedges at Calais now. Well done Salisbury Amnesty, excellent exhibition. Excellent exhibition very well done. 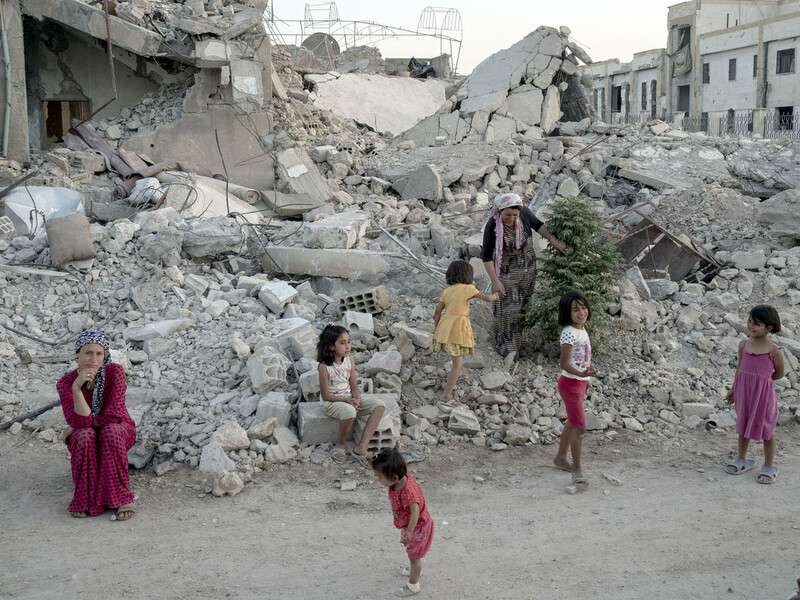 Amnesty International – what a brilliant exhibition of photos and words. We need more of this. How we react to other’s needs is what defines us and our ‘civilised’ society. Excellent exhibition but shaming to ‘civilised’ states – what has changed? Keep up the good work AI! Required viewing by all (including politicians). All going on while we ‘want, want, want’ on our mobiles. We’re asleep. Well done AI Salisbury Group – excellent exhibition of photos and thought provoking commentary. Powerful images that shame the world, and us in our comfortable city. Thank you Amnesty International for putting this on. Thank you Salisbury Amnesty group for raising awareness and for [the] call to action. Shocking statistics on your host map. Our thanks to all those who took the trouble to comment. All comments were favourable. If you would like to join the local group you would be very welcome. The best thing is to come along to an event and make yourself known. Details of what is happening will be posted here or on Facebook and Twitter if you prefer those platforms. It is free to join the local group. For further details see our latest minutes. The ‘I Welcome’ exhibition is now open in the Salisbury Library and will last until the end of December. It focuses on the plight of refugees and consists of a series of 30 powerful photographs from the Magnum agency. Refugees get a poor reception in the UK and the numbers we take in is a tiny proportion of the total. Rich countries generally take in a very small proportion. The exhibition is free and visitors are invited to make any comments in the book provided. Throughout December we will be hosting an exhibition in the Library with a display of 30 evocative panels entitled I Welcome. There are 30 panels and they represent the experience of millions of refugees, people of all ages, faiths and walks of life. The exhibition was first shown on the South Bank a year ago and attracted considerable media attention. Refugees get a bad press in the UK and there is considerable hostility to them coming here. Some of this hostility is whipped up by the media. It will be on display upstairs (a lift is available) and is free. All the photographs are by Magnum photographers.